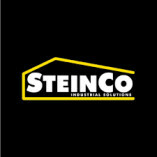 Steinco Industrial Solutions, Inc. is a wholesale supplier of metal framing products from Unistrut and a leading supplier of industrial products. Formerly Ron-San Products, Inc., Steinco has over 30 years of experience in the industrial market. Steinco can take projects from design thru installation and offers complete turn-key installations.